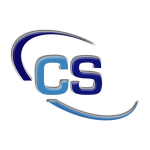 COMPLIANCE STRATEGISTS is a leading consulting firm based in the metropolitan New York area, specializing exclusively in compliance, ethics, risk and governance practice. We are independent compliance consultants who have all had years of direct in-house compliance and ethics experience. Donna Boehme, Joe Murphy and Judith Nocito are recognized leaders in the field who bring a powerful mix of compliance officer, in-house legal and corporate secretariat perspectives, transactional experience, and deep global expertise to their consultancy. Our team includes experts who helped develop the compliance and ethics industry and best practices in use today by a wide spectrum of companies in the US and globally. In addition to our principal experts, we offer an unparalleled network of top specialists who work with us, as needed. Each of our experts offers extensive real-world insight to our clients. Our unique experience, backgrounds and networks are unrivaled in the industry, enabling us to provide fit-for-purpose advisory services in a manner that is both impactful and efficient for our clients. We deliver practical and efficient compliance and ethics solutions tailored to each client’s unique businesses and risks – whether its program is in the development phase, newly established, or more mature and in need of assessment and refreshment. We can assist you in evaluating and strategically structuring your company’s program or individual program elements to leverage leading best practices, avoid common pitfalls and position your organization for success in an increasingly transparent, complex and challenging corporate environment. See a sampling of our firm services here. We have each been on the purchasing end of compliance consulting services, so we deal with clients the way we would have wanted to be dealt with when we were inside. While we generally use time-based billing, we can work with our clients on a fixed or “not-to-exceed” fee basis for many of our projects. Clients are not asked to pay for training junior associates. We keep our overhead costs low, and we deliver practical, cost-effective results to each of our clients directly responsive to their needs.